About 5% of children stutter at some stage and stuttering is about 3 times more common in boys than girls. Studies indicate that about half of these children may recover naturally, but sadly this is not the case for all. Speech Pathologists at Kids First Children’s Services in Sydney’s northern beaches say that kids who stutter can be helped and explain the role parents play. It is quite common for young children to go through a phase of non-fluent speech, i.e. stuttering, when they are learning to talk. This often occurs between the ages of 2-5 years, with a peak around 3⅟2 years of age. Non-fluent speech is characterised by long pauses known as blocks, and repetitions of words or sounds, e.g. ‘can, ca, can I……’, ‘mu, mu, mu, mummy’ etc. 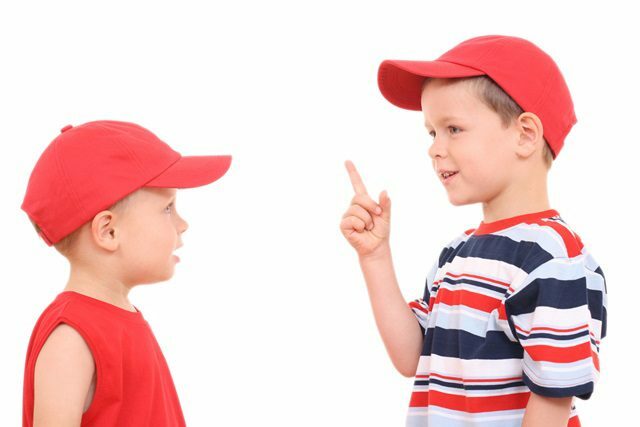 Try not to correct your child’s speech sounds or grammar, or comment on the speed of his talking. Try not to show anxiety or disapproval of his speech by the way you react to it. Instead, show that you are listening, whether he is fluent or not, and respond to what he has said to you. Try to reduce the number of questions you ask your child, instead you could comment or prompt. For example, instead of asking ‘What did you eat for lunch today?’ you could say “I had a chicken sandwich today for lunch.”, then hopefully your child will respond to less pressure and speak more fluently. Be aware that your child is more likely to stutter when he is tired, emotional or sick. 3. Avoid asking your child to…. repeat what he has just said, or to say “hello”,” thank you” or ‘tell the lady….”, etc. This often stressful for a child who stutters and can make their stuttering worse. Another way around this kind of situation is for you to take the lead. For example, you could say, ‘It’s lovely to see you, isn’t it Jonathan?’ to which Jonathan only has to nod his head. Try not to interrupt, anticipate or complete his sentences for him and allow him a fair share of the conversation. Wait patiently and encourage your child’s siblings to do the same so that they do not fall into the habit of talking for your child who stutters. Need help for your child who stutters? If your child continues to stutter, he will benefit from seeing a speech pathologist to help him learn to speak more fluently. Kids First’s speech pathologists have many years of experience in helping northern beaches children who stutter, and they can help your child too. Call (02) 9938 5419 to make an appointment with one of Kids First’s paediatric speech pathologists.